Over the weekend, CVS announced its intent to acquire Aetna for $69 billion. If approved, it would represent one of the largest M&A deals this decade, and the largest in the healthcare industry. The combined entity will have revenue of more than $220 billion and an EBITDA of $18.5 billion. This vertical integration, if they can pull it off, could significantly accelerate the drive to consumer-centric care. Near-term: direct combination of CVS Caremark’s PBM service with Aetna will be attractive to self-insured employers as some “service” costs will be eliminated. Express Scripts, the last national, independent PBM will likely benefit as payers previously aligned with CVS Caremark, see them now as a competitive threat. Longer-term: Aetna members will be incentivized to visit CVS Minute Clinics, which will disrupt traditional primary care practices. Aetna’s aggressive development of high performance networks will be further accelerated with addition of CVS’s Transform Care Program. Epic’s Healthy Planet PHM platform will likely become the core IT nerve center for care processes and provider-payer-pharmacy convergence enablement. As an IT analyst firm, we have little interest in what this deal may portend in the pharmaceutical benefits management (PBM) space (see here or here for that coverage). We are far more interested in its impact on the healthcare delivery chain (HCDC), what it means for the convergence trend we highlighted at our recent conference, as well as the supporting IT infrastructure that will enable the HCDC. With more than 1,100 MinuteClinics, and a target of 1,500 locations, CVS is leading the move to consumer-centric, retail health in the U.S. The combined entity will have massive consumer reach and could pose a significant threat to basic primary care practices as incentives will likely be used to encourage Aetna members to use CVS Minute Clinic services. This has the potential to drive near-term disruption, and it’s consistent with Aetna Chairman and CEO Mark Bertolini’s desire to move care into the home and community, closer to the consumer. Through the Transform Care program, CVS hopes to drive better outcomes through coordinated disease state management — an area where payers such as Aetna have clear incentives to get members to participate. The program started with diabetes and plans to address four more disease states in the next 24 months: Asthma, hypertension, hypercholesterolemia, and depression. 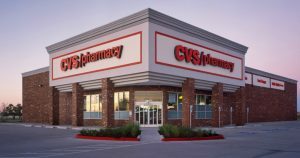 Through the Transform Care program, CVS hopes to drive better outcomes through coordinated disease state management…However, transitioning CVS’s retail stores into community health hubs is fraught with execution challenges and will require significant capital expenditure. Beyond its MinuteClinics, CVS has 9,600 pharmacies across the country. As most consumers interact with their pharmacists far more frequently then their doctor, having the ability to leverage pharmacists as part of an extended care team for Aetna’s members could be quite powerful. In addition to assisting with chronic disease management, exposing such information as an Aetna member’s care gaps to a pharmacist to encourage follow-up or even schedule an appointment can improve critical metrics under value-based care programs such as CMS’s Medicare Shared Savings Program. 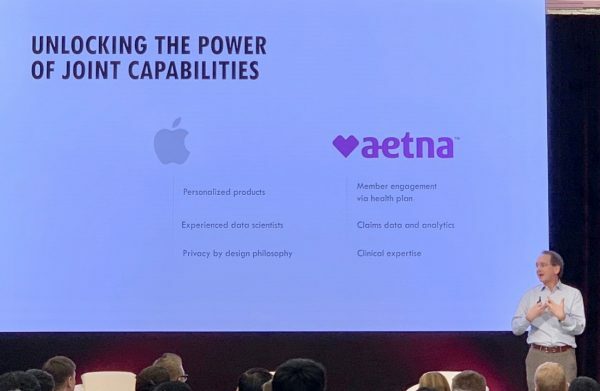 It is also important to note that Aetna has aggressively been building high-performance networks in partnership with providers. Currently, Aetna has established numerous Accountable Care Organizations (ACOs) with providers across the country as well as five joint ventures, with notable providers Allina Health, Banner Health, Inova Health, Sutter Health, and Texas Health Resources. Critical to the success of these partnerships in value-based care models is minimizing leakage (patients going out-of-network to receive care). Often, these out-of-network visits are simply done out of convenience. Aetna now has the opportunity to leverage MinuteClinics as part of its high-performance value based networks (ACOs & JVs) incentivizing members – no co-pay if member goes to CVS MinuteClinic versus say a $50 co-pay if member goes to an out-of-network provider. This will be attractive to large self-insured employers and their employees. However, transitioning CVS’s retail stores into community health hubs is fraught with execution challenges and will require significant capital expenditure. Leaders of CVS and Aetna said “pilot” and “test and learn” throughout a joint conference call following the announcement. This may give Walgreens, Walmart, and other players an opportunity to pivot while a merged CVS-Aetna takes time to plan and execute. CVS is actively deploying the Epic EHR across all MinuteClinic locations (including those in recently acquired Target pharmacy locations). This provides the IT infrastructure to broaden the scope of services provided to the consumer including facilitating hand-offs/referrals, with local IDNs (CVS has more than 40 clinical affiliations across the country). In addition to using the Epic EHR across all MinuteClinics, CVS announced in October that it was also partnering with Epic to leverage the Epic population health platform, Healthy Planet. We expect that Healthy Planet will become the core platform bridging many of the core provider-payer activities that are associated with value based models of care across the HCDC. 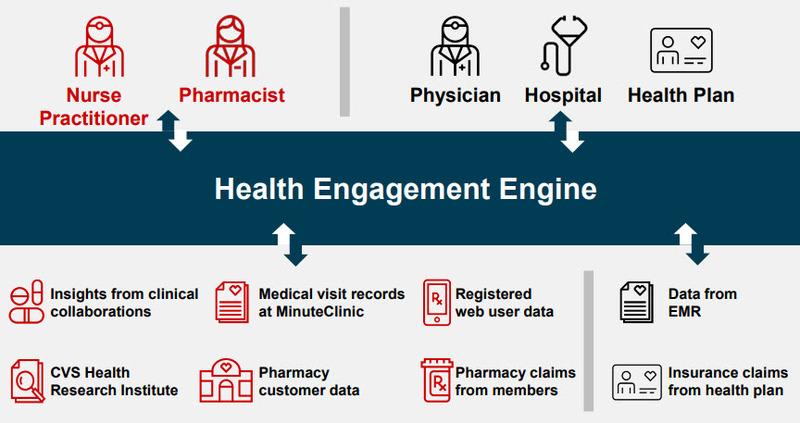 A combined CVS-Aetna would be well positioned to improve predictive analytics, given the addition of clinical, pharmacy, and consumer data to claims data… Here, the impact will be greatest in consumer engagement, potentially managed through the CVS Health Engagement Engine. Over the years, Aetna has acquired and subsequently offered a wide breadth of software solutions and professional services focused on member engagement and provider enablement. These include ActiveHealth, Health Data Management Systems, Medicity, and iTriage. None of these have been a huge success for Aetna, and some will likely be spun off in due time. Where many payers and providers struggle with engagement, CVS owns this touchpoint. About 30% of CVS customers use the retailer’s text messaging platform for prescription pickup and refill; plus, customers who pick up prescriptions on a monthly basis visit CVS more often than they see their PCP. In addition, CVS has partnered with three telehealth companies (American Well, Doctor on Demand, and Teladoc) to offer customers another venue for receiving low-acuity care. Aetna is also Teladoc’s biggest client (along with a number of other insurers). This merger gives CVS an opportunity to create a new integrated services offering, since not a single health plan has a comprehensive virtual health strategy to manage care and customer engagement. This integration of service offerings raises key questions, though. Who will manages these low-acuity and/or holistic interventions: CVS pharmacists, Aetna care managers, or newly hired health coaches in a reporting structure TBD? Will Aetna, in a sense, outsource member engagement to CVS? What will this mean for non-CVS customers who are covered by Aetna? How will PCPs and HCOs react to this? Will providers cut their ties with an insurer that is interested in driving utilization to a retail health or telehealth provider? Unlike the failed Humana-Aetna proposed merger, the CVS-Aetna merger is expected to be granted conditional approval. A merged CVS/Aetna creates a healthcare services behemoth, with combined revenue of more than $220B and EBITDA of $18.5B, rivaled only by UnitedHealth. (See Figure 2). A challenge to UnitedHealth? The deal sets up CVS to capitalize on its longer-term vision for a UnitedHealth-like model that vertically aligns the insurer, PBM, and retail businesses, helping to drive down costs and attract consumers into its bricks-and-mortar presence. OptumRx is comparable in size to Caremark. CVS plans to ramp up its investments in retail clinics, which is similar to UnitedHealth’s ramp up of its MedExpress business. Execution risk is high. We share CVS-Aetna management’s views on the need for a more integrated and community-based healthcare approach and believe that CVS is a strategic asset with the ability to position itself as a unique player that can fill this void in the US healthcare system. That said, the transformation that CVS’s retail footprint will have to undergo, not to mention the capital and effort required to restructure its 9,700-plus store footprint, poses meaningful operational risk to the combined entity, as well as drag that a broad renovation project will likely bring to CVS’s retail store performance over the next three years. Competitors will wait and see. 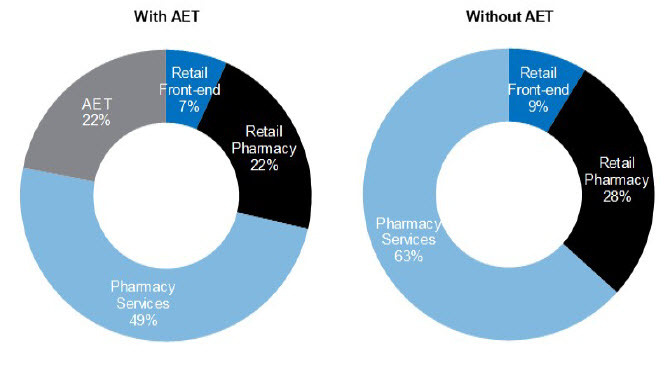 While UnitedHealth already operates an integrated health insurer/PBM model, the ability for CVS-Aetna to offer the direct consumer touchpoint via the retail pharmacy would be unique in the market. The only other play we may see of similar nature is a rumored Walmart acquisition of Humana, which would be similar in nature but targeted more toward Medicare Advantage members, where Humana has a strong presence. Disruption from Amazon is unlikely. The real game-changer would be Amazon accelerating its entrance into the market with the purchase of an existing player such as Rite Aid or Express Scripts. However, Amazon’s potential entry into the pharmaceutical distribution and/or retail market has its own execution risks, thus near-term disruption unlikely. Impact to primary care in question. CVS’s MinuteClinics offer a convenience and often a cost savings to the consumer that is unmatched by a primary care practice or local hospital ER. Yet the primary care practice often has the long-term, close, and personal relationship with a consumer/patient. It remains to be seen just how readily consumers will forgo relationships for convenience and whether or not incentives provided to Aetna members to use MinuteClinics will have a substantial impact on smaller primary care practices. 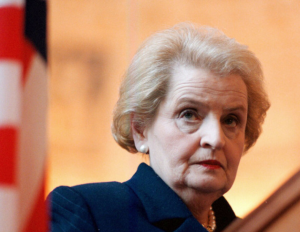 The threat is certainly there – it’s the magnitude that remains in question. The CVS retail pharmacy front-end will change substantially, eliminating some of the retail risk by moving toward healthcare services offerings such as vision, hearing, and wellness. The PBM will be a tool to help grow the enterprise, with PBM margin being less important than when it was part of CVS alone. In the end, CVS Health will be the place for Aetna members to go to get healthy and stay healthy, with the idea that the new model will attract members into the network due to cost, convenience and better outcomes. This is what a healthcare service company is idealistically supposed to do. Across the industry novel provider-payer collaborations have arisen – something we refer to as Convergence. The macro-factor driving this push to convergence is simple; the migration to newer value-based care (VBC) reimbursement models and the rise of consumerism in healthcare. Convergence comes in many forms ranging from Accountable Care Organizations (ACOs) to provider-owned health plans (payvider) to payer-owned provider networks and the most interesting of all – deep strategic partnerships, including joint ventures (JV), that have arisen between a provider and payer. And we are only just getting started. Anthem refers to their initial foray in convergence – Vivity Health, the seven-system provider network partnership with California Blue Cross as Convergence 1.0. One of their more recent partnerships with Aurora Health in Wisconsin is referred to as Convergence 2.0. Aetna has also been an early proponent of convergence with its first JV, Innovation Health, which was established a few years back with Virginia’s Inova Health. Since then, Aetna has announced four additional JVs, (Allina, Banner, Sutter and Texas Health Resources). In each of these instances, Aetna is seeking to partner with a healthcare organization to provide a more seamless and complete healthcare service that will be highly attractive to self-insured employers and individuals buying insurance via an exchange. Aetna EVP, Gary Loveman, who is leading this effort, will be one of our keynote speakers at our Convergence conference next month. Data sharing will be critical to support the applications and workflows that extend across the converged entity. The shared data asset will also be paramount for establishing mutually agreed to key performance indicators (KPIs) such as quality and costs of delivery care, care variability and administrative actions/burden, etc. These KPIs will help to optimize processes and drive alignment across the converged entity’s health service chain. But this is where the true challenge to convergence arises. Much of the data that may be necessary for success, is highly sensitive to one party or the other. If there is a lack of trust between partners a converged strategy will most likely fail. This gets to the core of any convergence strategy – mutual respect and trust is the starting point, followed by a strong desire or need to partner. That need to partner, to collaborate deeply must be shared by all parties. But well meaning intent and a strong desire to share data in support of a convergence strategy is only the beginning of the process. The hardest step will be to define the rules of data usage requiring a strong, mutually agreed to data governance policy. In our conversations with countless healthcare organizations, we find time and time again that data governance is one of the most oft overlooked aspects of their data curation and analytics strategy. Therefore, it is not too surprising for us to see the struggles that many an organization is facing today with governance that extends beyond their four walls to include a partner, who may at one time have been a competitor. There are three simple rules to data governance in a converged strategy. Ensure parity between the two partnering organizations. If one has the upper hand, data sharing will likely be problematic compromising convergence goals and objectives. Define upfront what datasets will be required and for what purposes. In addition to what types of data and who is responsible for it, address issues such as latency, usage, quality and purposes for which data will be used. Place a skilled diplomat in charge of your data governance strategy. Governance tackles “soft issues” such as policies, people, privacy, security and trust, all key skills of one with strong diplomatic skills. Be you a provider or payer, follow these rules to data governance will go a long way to establishing the trusted foundational framework for your own convergence efforts. Cerner’s annual user conference (CHC) last week gave us an opportunity to speak with Cerner executives and customers to gain insight on their current and future initiatives. 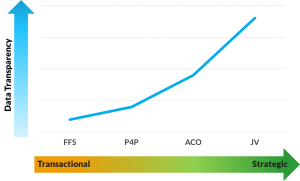 > HealtheIntent is gaining momentum and displacing or overlaying competitors. > Strong pent-up demand for the HealtheIntent EDW. > Sales are strategic and typically occur a level above CIO. stakeholders regarding the topic of health assessments. HIMSS affords me the opportunity to meet with so many people I’ve come to know in this sector. Some are my mentors, others clients or partners and all have become friends. That friendship extends from a shared desire and dedication to improve healthcare delivery through the effective adoption and use of IT. 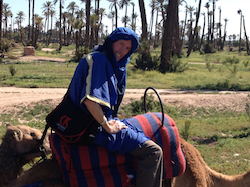 While HIMSS is utterly exhausting it is also incredibly invigorating – kind of a Yin/Yang thing. I always return from the event with a ton of ideas as to where Chilmark can further assist this industry, because frankly, finding good objective research and insights in this sector sure seems tough to come by. The “Big Data” hype cools to a simmer. Thankfully, the number of companies quoting, referencing or inferring how they address big data has subsided. This sector needs to get the little data right before it can step-up in any meaningful way to big data. PHM is a too vague a term. The challenge with population health management (PHM), as a term, is that it is so broad. This results in virtually any vendor laying claim to it – though they may only be solving a very small piece of the PHM puzzle. No vendor at HIMSS’15 has a solution that can fully enable a PHM strategy. Met with many a CIO who has come to same conclusion, but every CIO struggled with same problem: Where best to start and with who? Everyone does Care Management. In his post prior to HIMSS, our analyst Matt predicted that care management/care coordination would be the new buzzword term de jour. He was spot on. Countless vendors had banners promoting their ability to address care management processes. Unfortunately for users, when one takes a deeper look at these care management apps, one typically finds a glorified spreadsheet. Surely we can do better than this! Clinical analytics is cool, but financial and clinical analytics together insures long-term survival. Saw plenty of vendors promoting their latest analytic wares and virtually all the demos focused on clinical analytics. Only a few vendors have taken the next step and are co-mingling clinical and financial analytics – which will be absolutely critical for HCOs. Unfortunately, most of these solutions make it far too difficult to perform such a simple task as: At the patient level, identify the most costly patients, what is driving the high costs of care for these patient(s) (visits to specialists, procedures, labs, meds, etc.) in order to determine what may be done to reign in costs. A couple of companies I spoke with, Arcadia and Health Catalyst, did talk about the co-mingling of clinical and financial data, but as mentioned previously, they were in the minority. ICW was back after a five year hiatus from HIMSS. They’ve gone through a major restructuring to refocus their development efforts on HIE and care management. They’ve always had some pretty decent technology under the hood – their challenge has been channel(s) to market. Not easy for a company from abroad. Humana announced Transcend Insights (combo of Certify Data Systems, Anvita and nliven), yet another payer-led solution suite. They’ll be challenged to compete with Aetna’s Healthagen and UHG’s Optum. Humana’s deep expertise in Medicare may be key differentiator. Caradigm looks to be finally gaining some traction and their booth was very busy. They are beginning to get some wins for their Care Management suite, which they co-developed with Geisinger Health. Orion Health has the most visionary architecture for CNM that I have witnessed to date. Now they have to execute on that vision. RelayHealth now has both performance analytics (HBOC) and MedVentive under its wing. They will be combining RelayHealth’s data aggregation capabilities, these analytics solutions and hosting in Microsoft’s Azure Cloud. Going beta this summer at ten sites and G.A., by end of summer. Apervita was one of the more interesting briefings, as they are a company trying to create a marketplace for analytic algorithms that an HCO can source and apply to their EDW. Recently landed Series A round – one to watch. Aetna’s Healthagen is targeting self-insured employers as well. In North Carolina, the PHM program Healthagen rolled-out across the 680K state employees realized a savings to the state of some $450M over three years. Not sure how those savings were calculated, but a number even half that is impressive. Kryptiq, which recently spun-out from Surescripts, is taking to market Care Manager, an app originally developed at Providence Health in Portland. Solution automates many of the tasks required for CCM reimbursement under Medicare. The EHR bubble is over but big question is: Will bolt-on sales of PHM-enabling modules be enough to sustain this market? Cerner is seeing very good traction for its Healthe Registries product, but a contract sale of that product likely pales in comparison to a Millennium sale. The EHR vendors with the biggest, most elaborate booths are also the ones that are struggling the most in today’s increasingly competitive market. 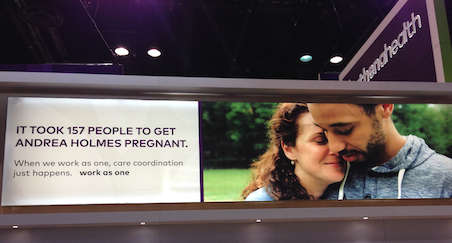 Athenahealth had by far some of the best marketing booth panels I’ve ever seen at HIMSS. InterSystems is jumping into the patient portal business. We’ve never been fans of EHR-tethered portals and Intersystems’ move is welcomed. Health Catalyst continues its momentum, both in raising funds and landing new clients. They are moving fast knowing that the likes of Epic, Cerner and other best of breed vendors are in pursuit. Lumira, management buy-out of Wellogic from Alere, is building out a solution suite combining engagement, data exchange, biometrics and analytics. Lumira sees itself as a becoming an “Outcomes Company”. How that differs from a traditional MCO is hard to gauge right now. Everyone wanted to know the implications of IBM’s big announcements at HIMSS. Certainly thought provoking, but IBM has a ways to go to convince the market, especially providers, of what value they can deliver. The record winning CCD file that Medicity has seen fly over its network was 100MB – that’s HUGE! By way of comparison, one of our 100+pg market trends reports averages about 1.3MB. Is it any wonder that this industry struggles with interoperability. Plenty of talk and wringing of hands over issue of interoperability, but saw nothing at HIMSS that gave me hope that this issue will be solved across the country in the next 12-18months. Think 3-5yrs at best. Box had a small booth at HIMSS and unbeknownst to me, acquired a start-up that has a pretty slick DICOM image viewing and medical grade mark-up application that now resides on Box. BluePrint Healthcare IT’s Care Navigator is a nicely packaged app for care coordination. Children’s Specialized Hospital in NJ have been able to derive some high value from its use in caring for its pediatrics patients. Of course, with 42K+ attendees, some 1.2K+ exhibitors there is no way any one person can take it all in. One needs a plan and a highly targeted one at that to be able to really get any value out of this event. As they say, practice makes perfect and this being my eighth or so HIMSS, I am getting a little more practiced at how to navigate this event. Never easy, always exhausting, at times depressing, but also never boring. See you in Las Vegas – the site of next year’s HIMSS. Over the course of 2014, it’s become clear that this trend is here to stay. What’s not yet clear is how exactly these new models will impact the industry. This month’s domain monitor, offers a high level look at some of the specific models and enabling technologies that are slated for a big year of growth in 2015. We will also outline some of the major implications for industry incumbents and break down how various segments of the healthcare market are (or are not) preparing for this sea change.